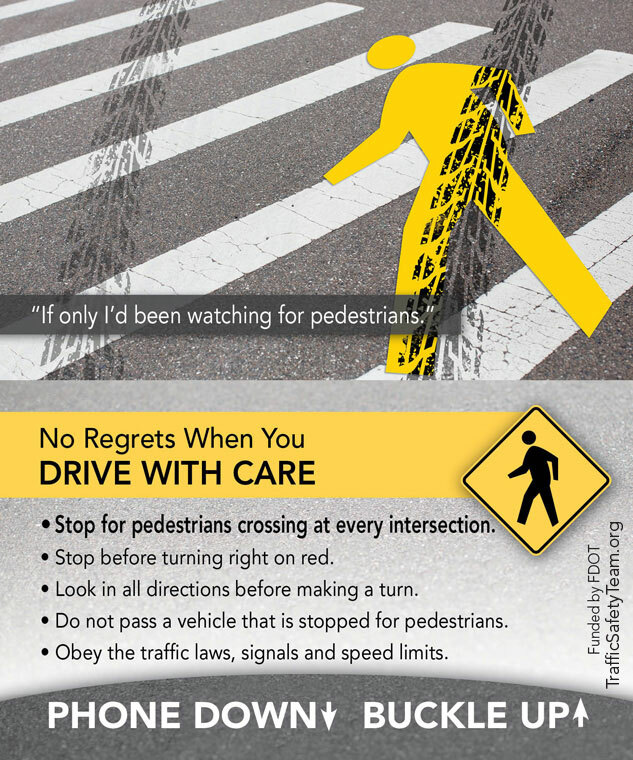 “If only I’d been watching for pedestrians.” No Regrets When You DRIVE WITH CARE – Pedestrian Safety message targeted towards drivers. 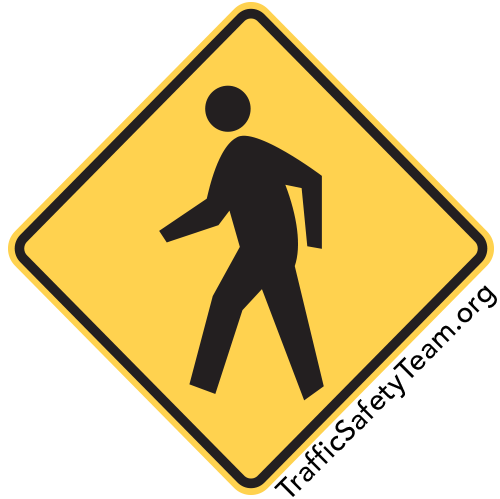 Stop for pedestrians crossing at every intersection and in crosswalks. 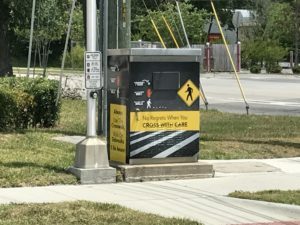 Stop before tuning right on red. Look in all directions before making a turn. 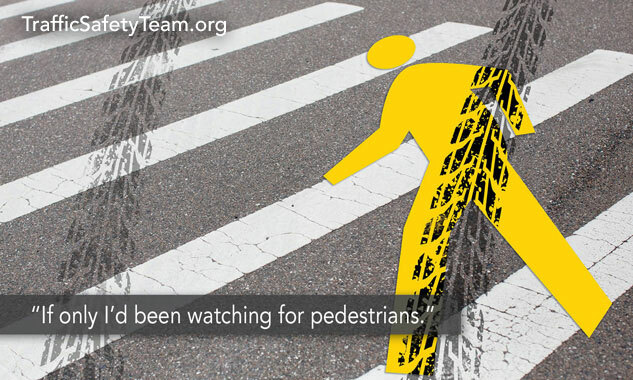 Do not pass a vehicle that is stopping for pedestrians. 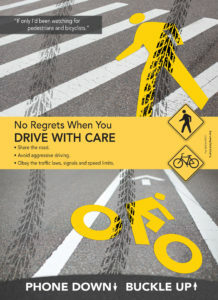 Posters distributed include both bicycle and pedestrian safety. 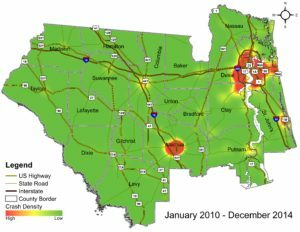 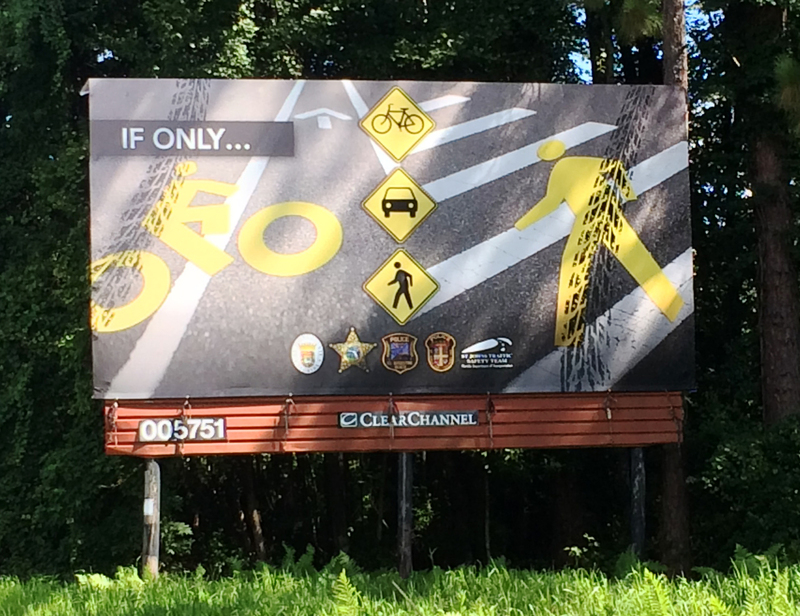 The Jacksonville Sheriff’s Office promoted this safety message on large, digital billboards. 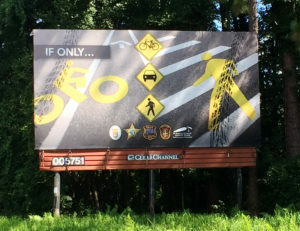 The City of St. Augustine, Police Department and Sheriff’s Office joined forces in St. Johns County to promote these biking, walking and driving safe messages, including posting billboards in high traffic areas around the county. 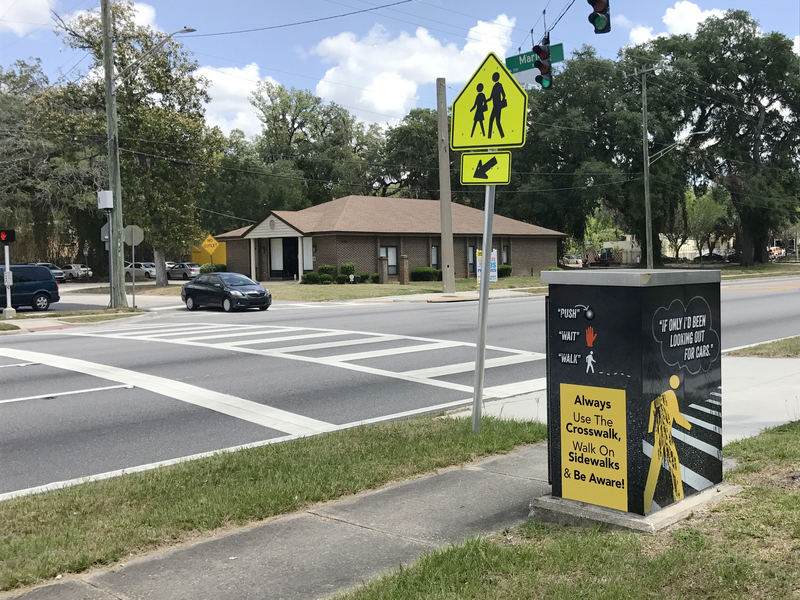 Always cross the street at a corner or crosswalk. 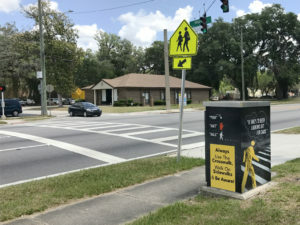 Walk on the far left, facing traffic if there is no sidewalk. Never run out into the street or enter from between parked cars. 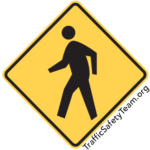 Don’t walk alone or in the dark. 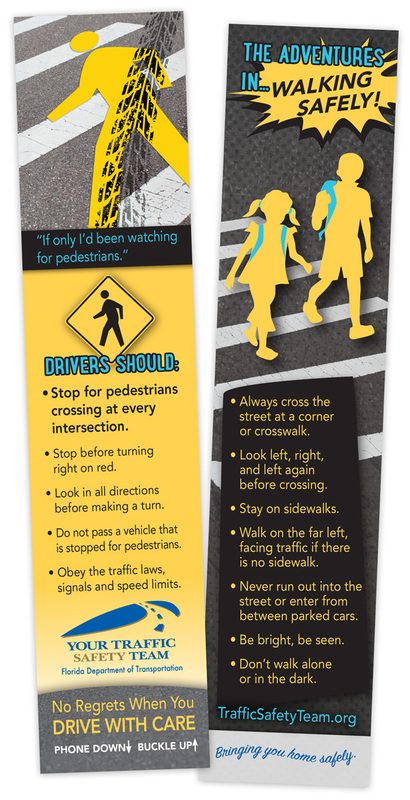 These double-sided bookmarks are distributed to libraries throughout our community with safety tips for drivers and walkers.. KIDS: Be Smart. 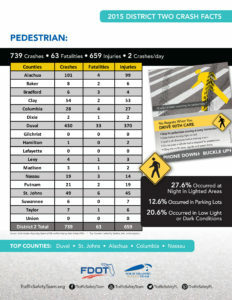 Walk Safe. Check out our safety activity sheets for children.